A while back (like, way back I just can't remember when) I saw a post on Mrs.Knight's Smartest Artists looking for schools to swap ATCs with. 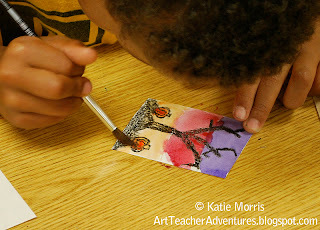 I love ATCs and my students do, too, so I jumped at the chance and emailed her. 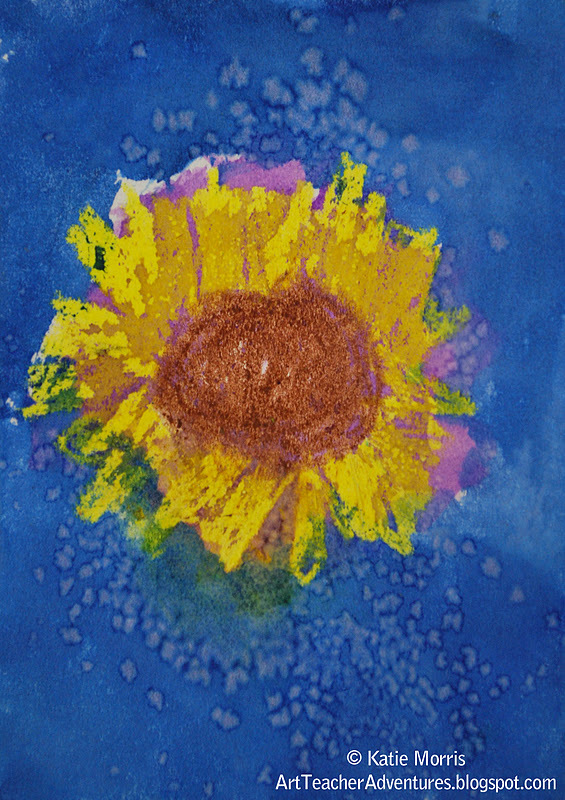 My 3rd and 4th grade students made Fall or Sunflower themed Artist Trading Cards to send to 3rd and 4th grade students in Georgia. They were pumped to be sending something to students in another state. 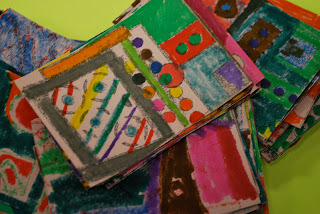 Each student created a series of 3 ATCs- 1 to keep, 1 to trade with a student in their class, and 1 to send to Georgia. 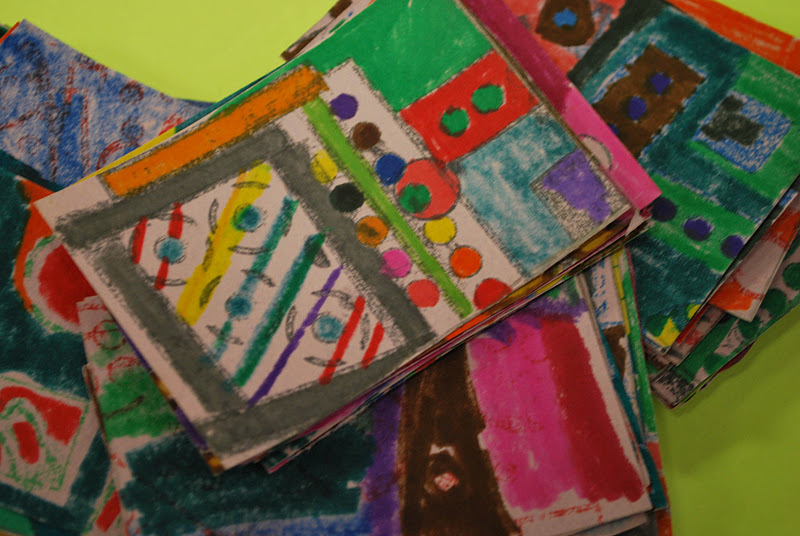 I encouraged them to send their best card to Mrs.Knight's students, something they would be excited to receive. 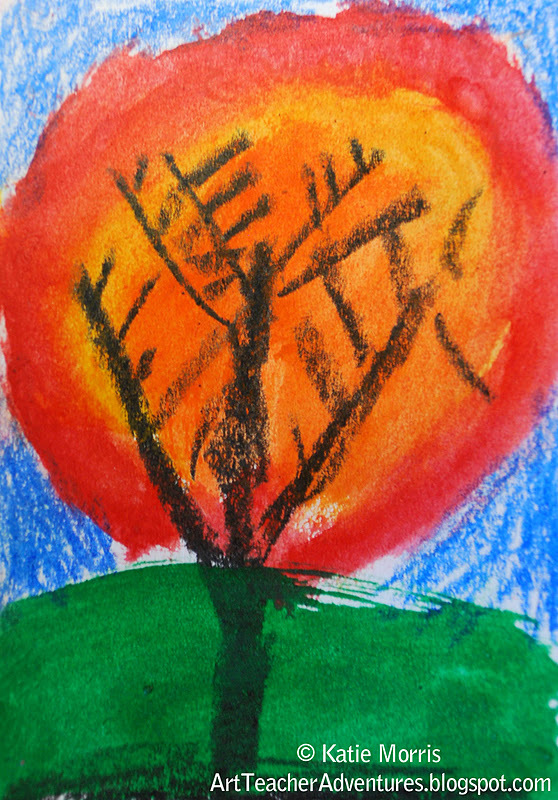 The students got to choose and use several techniques including regular drawing with crayons or markers, collage, wax resist, or regular watercolor. Here are some results! I thought this was cute. 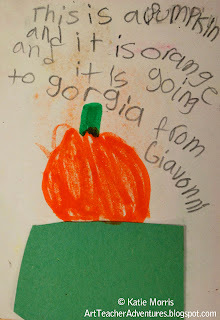 "This is a pumpkin and it is orange and it is going to gorgia. 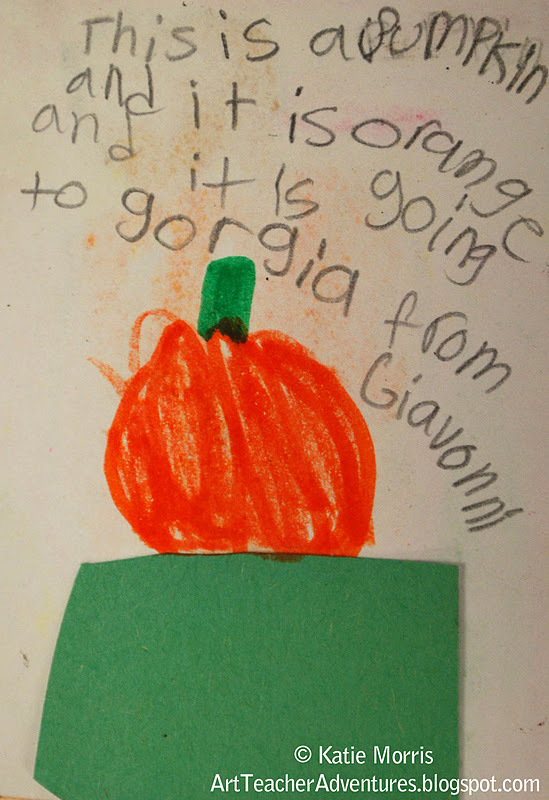 From Giavonni." I wanted to put the work on Artsonia but not photograph 3 times as many projects as usual. To solve the problem, I took a piece of white paper big enough for 3 cards to fit on top, arranged their series of ATCs on top, and only took one photograph. Here are the super cool cards we got in return! WooHoo! What a fun trade! Can't wait to see what we can pull off next year - hope you're up for it again. My younger students have seen my map and are expecting big things when they get to the next grade.